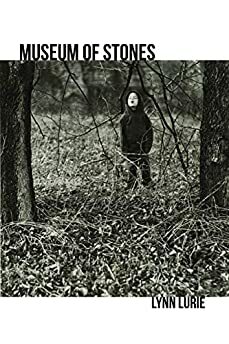 Largehearted Boy: Lynn Lurie's Playlist for Her Novel "Museum of Stones"
Lynn Lurie's novel Museum of Stones is both insightful and incisive in its exploration of the parent/child relationship. "Lynn Lurie writes here with precision, power, and clarity about all that is most important―those things that sizzle and shriek, burn, and roar in the tunnels and caverns of the heart. Museum of Stones is a beautiful book and Lurie a marvelous writer." At the heart of Museum of Stones is a possessive/obsessive love between a mother and a son that must be released. The boy, an exceptional child, collects too many rocks, invents a garbage recycler that runs amok, does not “play well.” His mother takes their relationship to extremes, threatening her sanity and health. Her playlist reflects her turmoil as she tries to address her anger, her failures and isolation. 1. The Clash. London Calling. The narrator feels estranged from the life she imagines everyone else is living. Her son’s struggles are all consuming and she finds it impossible to hold on to a sense of self. Her world is becoming increasingly smaller. She lashes out, damns the world for its stupidity, its blunders and scourges. She will gladly go down with all of it, welcome the end, if she can take her fragile boy with her. 2. Nirvana. All Apologies. She can find no comfortable place, further withdrawing into herself. She has given herself one job: to provide safe harbor for her son, and when convinced she is failing it is easier to apologize than to act. 3. Philip Glass. Satyagraha. Meditation and reliance on repetition are mechanisms employed by both the narrator and her son to escape the present. For the narrator this is especially true when the thing repeated has no specific form, when it does not try to explain. Satyagraha is nonlinear; there is no prescribed plot line, it flows similarly to the narrator’s life. The rhythm soothes her, offers some hope that by taking careful, metered steps, she might find reprieve. 4. K.D. Lang and Jane Siberry. Calling All Angels. A cry for for help to not have to go it alone. The narrator has her own twill of repetitions mimicking a prayer. At one point she considers going into a chapel but knows it will offer nothing. Her son looks to science, to numbers, a way to ‘crack the code’ but the answers, he knows, exit in the tangible not the ephemeral. His learning Morse code is part of his search for a language totally different than that of adults. 5. Patti Smith. After the Gold Rush. How do we repair what we have done? A medieval image of a harvest, respect for what the earth offers. There is hope in the children, a banner of color. But this is a dream. Then there is the sound of small children in the background and their voices rise in a chorus of hope. 6. Natalie Merchant. Spring and Fall. We mourn the missing but mostly we, who remain, mourn for ourselves. Fairy tales present our darkest selves. As a child I had an old copy of Grimm’s fairy tales that belonged to my grandfather. It contained beautiful color drawings and pictures from ancient woodcuttings, but I did not like the book. I didn’t understand the magnitude of evil and the stories in their brutality did not offer a way forward. This song, intended for a child, is a lullaby that offers explanation. 7. Silvio Rodriquez. Sueño con los Serpientes. A snake eats the little one and then moves to the next biggest one until all have been consumed. The snake’s maniacal eating has nothing to do with hunger but with its drive for power. For the narrator, her son’s illness is emblematic of her loss of power. There are undercurrents of danger running through Museum of Stones, culminating in the miner’s strike. The narrator and her son read picture books, the boy prefers stories with animals. Dr. Seuss’s Yertl the Turtle is similar to Sueño con los Serpientes in its depiction of corruption and power. The King of the Turtles orders the turtles to get on top of each other, each one crushing the one beneath it, allowing the Ruler to lay claim to all that he sees when he climbs on top of his towering stack. A sneeze turns out to be the most powerful weapon of the weak, causing the whole configuration to collapse. In Yertl it is this unplanned act that saves the world. Dr. Seuss is an antidote to Grimm’s. 8. Bob Dylan. Bob Dylan’s Dream. A prayer to travel back to an earlier time. The passing of years has us counting out what we have lost-- those things that once sustained us feel traded for something of lesser value. The narrator summons memories of her life in the Andes, the life before her son. Her view of the past is refracted against her present. She has re-written the narrative, inadvertently, and in the rewriting lost control. 9. Nico. These Days. She sees only her failures. Paralysis makes it easy for her to wallow and her imposed solitude is further punishment. She expends energy and time counting what has gone wrong, whereas the son prefers to count, ‘the seeded center of a sunflower.’ This gives us a window into his resilience. 10. Johnny Cash. Bird on a Wire. It is wishful, really child’s play, to think that by listing our failures absolution will follow. In the narrator’s effort to be free of responsibility she fantasizes about leaving her child. Unable to leave she fears she will continue to come up short. 11. Keith Jarret. Köln Concert. Hypnotic, repetitive, as if a free flowing conversation. Out of imperfection (if we are to believe the lore of this recording that the piano was substandard) emerges the possibility of finding something of beauty and previously unthought-of. Jarret seems to have left the stage and the audience and is performing for himself. The narrator does this with the hope that in the letting go, she will emerge less encumbered, that there will be something transformative.